The Sokumvatn Area is representative of the 'deeper' part of the Caledonian orogenic belt in N. Norway. The general structure is a synform with a N - S axis (the Sokumvatn Synform); the Harefjell Gneissic Group, clioritic to quartz-monzonitic in composition is surrounded on three sides by the Sokurnfjell Marble Group, composed predominantly of saccharoidal marbles. Both groups are heavily veined by granites. An important slide zone occurs between the two main rock groups and other slides occur within each group. The sliding is related to large scale overfolds on E.N.E.-W.S.W. axes which may be recognised in both groups. These overfolds haye been refolded in the Sokumvatn Synform so that they now have nearly vertical plunges in its steep eastern limb. Minor structures associated with the two fold episodes differ in style. Those in the gentle western limb of the Sokumvatn Synform belong mainly to the more plastic first falding while those in the steep eastern limb are largely due to the less plastic second folding. The attitude of the second fold structures is variable and dependent on the attitude of the structures on which they were superimposed. 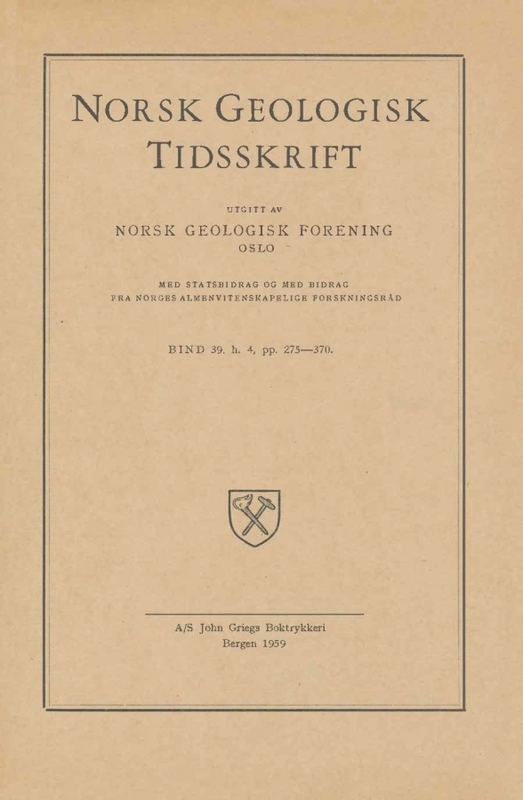 The evidence from the metamorphic history and granite emplacement is briefly discussed to emphasise the difference in age between the two fold episodes. The first folding was synchronous with the regional metamorphism while the second folding occurred during a period of granite emplacement with falling temperature.